Convert DVD to AVI, MP4, MOV, and more. With the decreasing popularity of DVDs over the time, the need for converting the disc files to digital format has become a necessity. Majority of the laptops and desktops these days also do not come with a built-in DVD drive. Thus, to enjoy your special collection, converting it to some popular formats like AVI is needed. AVI- Audio Video Interleave is a multimedia container format that was developed by Microsoft as a part of the Video for Windows software. This commonly used format can store both the audio as well as video data in a single file and is based on the RIFF (Resource Interchange File Format) container format. DVD to AVI format conversion facilitates storing your DVD videos in a digital format which not only works like a backup but also can be played on a number of portable devices even on the go. Read below to know more in detail about how to convert DVD to AVI. Professional software is the best choice when it comes to quality conversion. But with a myriad of options to choose from, chances of getting confused are there. 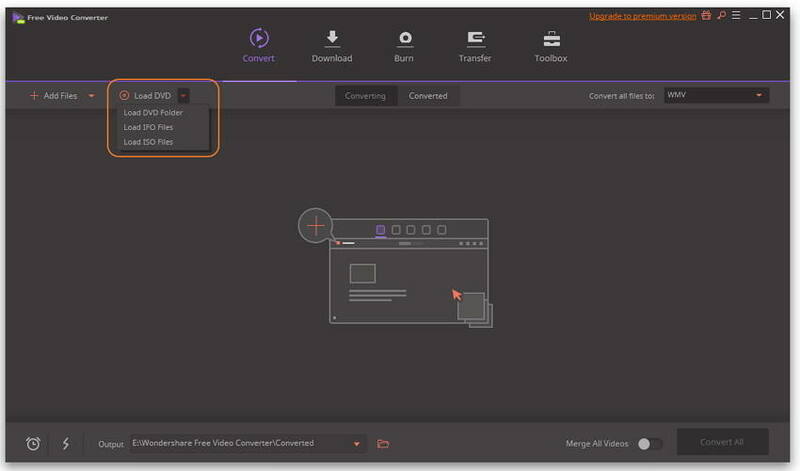 So to help you with this, we recommend one of the best conversion tools called Wondershare UniConverter (originally Wondershare Video Converter Ultimate). This complete video toolbox is an expert program that looks after all your video related needs, be it conversion, editing, transfers, ripping, or others. The software works smoothly on all popular OS versions of Windows and Mac and ensures lossless quality conversion. There are a number of benefits associated when you convert DVD to AVI using Wondershare software. DVD to AVI conversion is done 30X faster speed compared with other programs. Convert multiple DVD videos to AVI in batch. DVD files can be added directly from the disc for DVD to AVI conversion. Built-in editor allows customizing DVD videos before converting to AVI format. Directly convert DVD to MP4, AVI, MKV, MOV, and other 1000 formats. 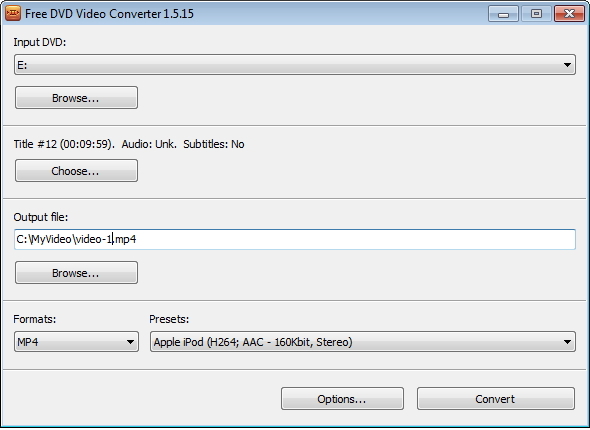 Convert DVD videos to optimized preset for almost all of the devices. DVD to AVI conversion is done without any quality loss. Step 1 Add DVD files to Wondershare DVD to AVI converter. Open Wondershare UniConverter (originally Wondershare Video Converter Ultimate) on your PC after it is downloaded and installed. Insert the desired DVD that you want to convert in your PC. At the Convert tab on the main software interface, open drop down menu at Load DVD option and select the inserted DVD title. From the new pop-up window, select to load Main Movie or All Movies as desired. Step 2 Choose AVI as the output format for DVD to AVI conversion. Once multiple files are added to the interface, click drop down icon at Convert all files to: option and from the Video tab select AVI and the related resolution as the desired format. Step 3 Batch convert DVD to AVI. Select the destination folder where you want to save the converted files on your PC at the Output tab. Hit the Convert All button to start with the batch conversion process of all the files. The above-listed steps are for Windows version of the program. The steps for DVD to AVI Mac are almost the same. If you have a limited number of DVDs and don't want to go for a paid professional tool, then we suggest using a DVD to AVI freeware like Wondershare Free Video Converter. 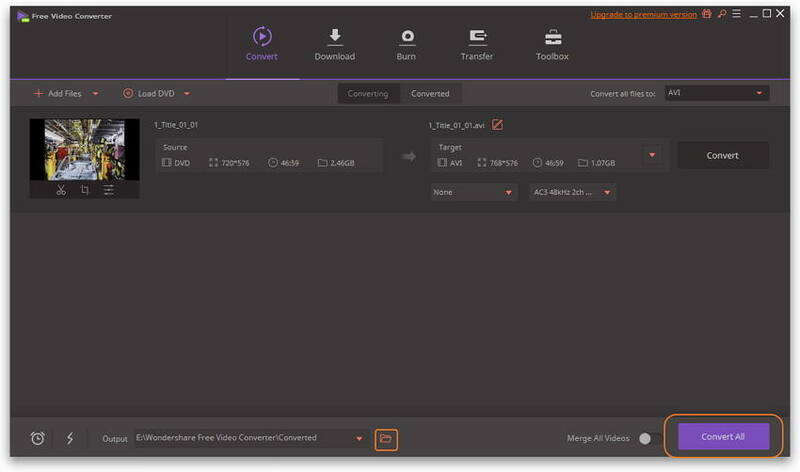 This free converter program support an array of video and audio formats for conversion to make them compatible playing on a number of devices. 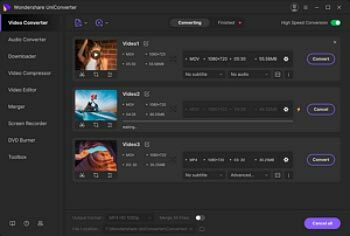 To personalize your videos, you can also trim, crop, rotate, merge, add watermarks, and also add subtitles using its in-program editing functions. The software is available for free download on Windows 10/8/7/XP, and Mac OSX 10.6-10.14. This DVD to AVI free converter also allows downloading YouTube videos which can be enjoyed offline or can be converted to other iOS device compatible formats. The free version of the software does not support adding DVD files directly from the disc. Thus you first need to copy your DVD disc to your PC from where it can be added to the software. Step 1 Add file to the DVD to AVI freeware. 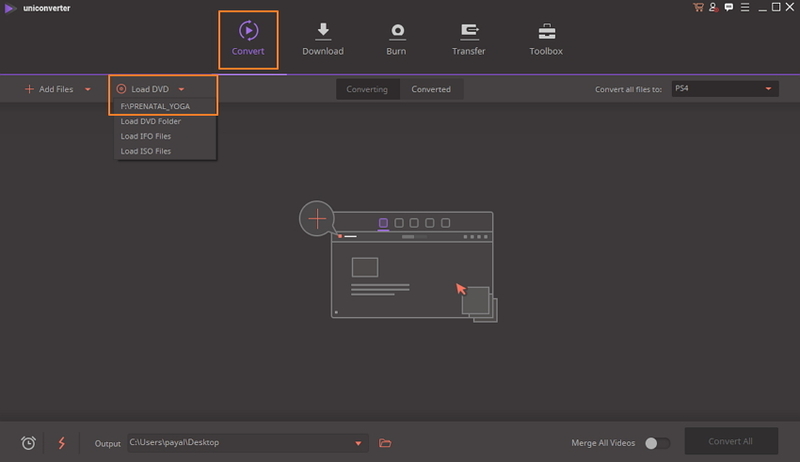 Download, install and launch Wondershare Free Video Converter on your PC. Under the Convert tab, click Add Files to browse and add DVD disc files that are saved on your computer. Alternatively, you can also drag and drop the files. Step 2 Select AVI as the output format for free DVD to AVI conversion. After the file is added, click the drop-down arrow next to Convert all files to: on the top-right corner of the interface, Select Video > AVI. Step 3 Convert DVD to AVI free. At the Output Folder, you can change the location on your PC where you want to save the converted files. As the final step, hit Convert All to start converting DVD disc files to AVI format. Though Wondershare Free Video Converter and other similar freeware are decent to use, but they have a number of limitations. The conversion using freeware is with watermark for output videos. The free programs generally do not support converting videos with 30X Faster Speed. Your DVD to AVI will have watermark like other freewares. Freeware is limited to use additional features like DVD ripping, video transfer, fetching metadata, and others. In addition to Free Video Converter, there are many other programs to convert DVD to AVI free. To help you from searching some of the popular ones, we recommend a few below. 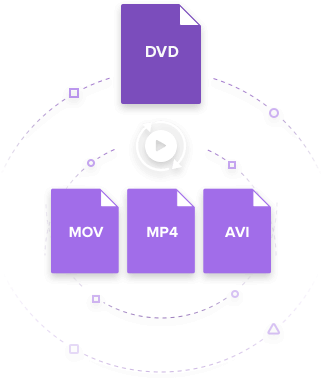 This free program supports video conversion in AVI- DivX, AVI-Xvid, and AVI-H264 in decent quality. The software is clean and safe to use and also allows extracting DVD audio to MP3 format for playing on MP3 players. Icepine is compatible with working on Windows XP, Windows Server 2003, Vista, and Windows 7. The software does not occupy any extra disk space in order to store the intermediate data. Comes with powerful editing functions like trimming DVD, adjusting volume, filter application and others. Allows to directly work on DVD by simply inserting them. Allows to select audio track and subtitle track and preview the DVD. Another popularly used DVD to AVI freeware is DVDVideoSoft Free. In addition to AVI, you can convert your DVD discs to other formats as well including MP4, MKV, PSP, BlackBerry, AppleTV, and others. The program is simple, user-friendly and efficient. Only unprotected files can be converted using DVDVideoSoft tool and it works on Windows 10, 8, 7, Vista, XP SP3 OS. Supports extracting MP3 or WAV audio files from DVD videos. Comes with option to save output in a number of quality preset like AVI, MP4, MKV, and others. Allows you to select title, language, and subtitle. Safe to install without any adware or spyware. This is another commonly used program to convert DVD to AVI free. Other supported output formats include MP4, WMV, MPEG, iPad, and Android. The program is safe to install and has easy to use interface. You can simply insert the disc and add files directly from there. The converter is available for download on Windows system. But like other freeware, the free version will have watermark for the output videos. Retains original quality after conversion to a great extent and reduces the file size. Allows ripping DVD with the subtitles. In addition to formats, DVD can be converted to Android and iPad specific formats. Above listed are different tools and programs for converting DVD to AVI. Depending on the number of files, quality needed, and other features, you can choose the apt software. To ease in your selection process, the table below compares all the 5 programs on the basis of various parameters. Considering the features, functions, and the comparison table, it can be concluded that Wondershare UniConverter (originally Wondershare Video Converter Ultimate) is the best DVD to AVI converter. Enjoy hassle-free, quick, and quality conversion process.